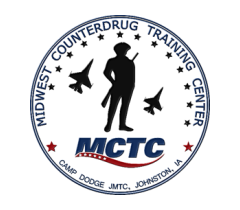 Registration is restricted to local, tribal, state, federal, and military Law Enforcement Officers assigned to high-risk teams or divisions. Previous training in self-aid or Basic Prehospital Trauma Life Support is beneficial, but not required. Tactical Medicine for High Risk Response Teams is designed to familiarize law enforcement personnel assigned to response teams (SWAT, CNT, etc.) or EMT-basic with the next operational level of first responder medical support. The course curriculum includes an overview of Tactical Casualty Care (TCCC), medical terminology, anatomy/physiology as it relates to trauma medicine. Airway Management, Chest Trauma and Advanced Bleeding Control procedures including the latest in TCCC application. The course combines classroom learning and hands-on skill stations. Scenario assessment stations enable you to put your learning to work in simulated trauma situations. This course can be tailored to agency-specific needs. In keeping with the nature of this course, students will plan, facilitate, and evaluate a culminating scenario-driven practical exercise. Student performance will be carefully evaluated and in-depth feedback will be provided during a comprehensive after-action debriefing. Lessons learned on the battlefield can be extended into civilian practice, particularly law enforcement. It is our hope to share our combat experience, Army lessons learned to enhance the peace keeper and peace officer relationship. Tactical Medicine for High Risk Response Teams is a 2-day course.